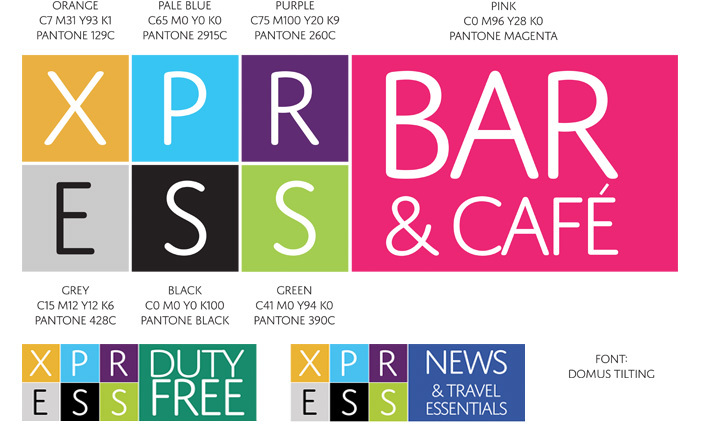 To develop a strong and unique brand identity for use within the various Peel Airports locations for Bars and Cafés, News outlets, and Duty Free stores, designed with flexibility for further developments and directions within the Xpress family in the future. Already installed and implemented at DSA and DTVA as part of major terminal overhauls and progressions, colour coded, and versatile in its ability to be used within promotional campaigns, and as exceptionally strong brand led outlet signage. 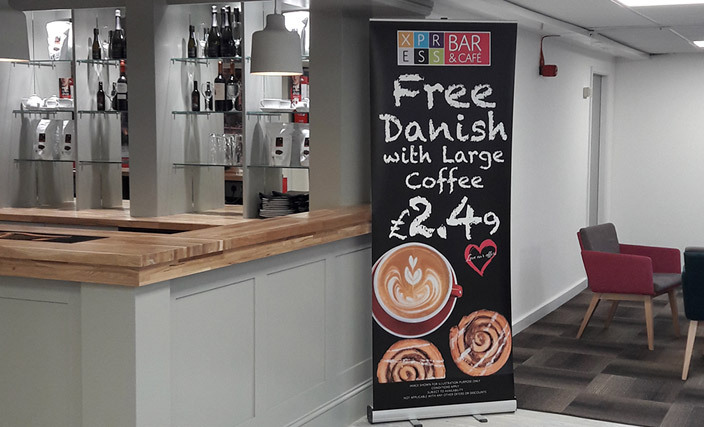 The very carefully considered, and exceptionally well received branding is already highly visible on posters, FIDS, banners, menus, promos, badges, and all manner of support material.